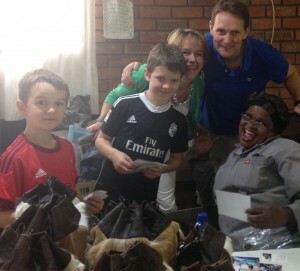 I’ll never forget the first time we visited the talented craftswomen and men who finely craft Zulucow’s bags and accessories by hand. The unfailingly ebullient Ma Beatrice ran over and gave me a big hug and said ”We love you Lucy!” Whaat? OMG? I was taken aback and humbled that our (then) small orders of cowhide rugs, cowhide cushions, bags, belts and purses were making a difference to her life. I didn’t realise that our orders meant these ladies and men had safe jobs and reliable incomes; which were desperately needed to support their families. Meeting Ma Beatrice, Ma Philippine, Lilhe, Bongiwe, Boaster, Thandeka and the rest of the team was quite overwhelming and certainly ‘opened my eyes.’ We were staggered that something we’d stumbled upon on a holiday back home in South Africa was actually making a difference to, it seemed, quite a few people’s lives. The first time I saw an Nguni cowhide rug was at a ‘padstal’ (a roadside shop) on the edge of a dusty African road. It was exquisite with a gorgeous symmetrical pattern: glossy black and white with a flash of burnished copper running through its centre. 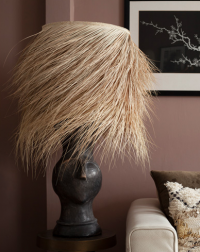 It was the best quality hide I’d ever seen: heavy-weight with a luxurious pile and glossy texture. 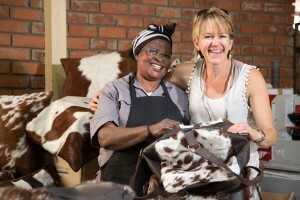 A fervent Nguni cowhide shopping spree ensued! I have always coveted gorgeous leather bags like Mulberry handbags Prada bags, Ralf Lauren’s leather bags and for everyday: Russell and Bromley’s leather bags, but I felt my natural, high quality leather, handmade, handbag with its funky cowhide pattern equalled these designer bags. 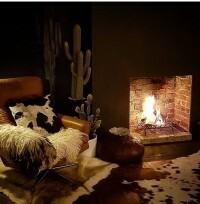 And my sustainably sourced, Nguni cowhide rug easily was superior to a cowhide I’d see on The Rug Company website. Back home in England, our new purchases: gorgeous cowhide rug ; my striking brown and white cowhide bag and fab cowhide belt were constantly admired. Often in South Africa, women are left to support themselves and their many dependents (young and old.) Frequently their husbands leave home to find jobs in big cities like Joburg, never to return. (Many husbands set up second families in the city.) Ma Beatrice’s husband in contrast has remained with the family, but she told me that he had to go to Durban to find a job, in a timber factory. Ma Beatrice is fabulous! 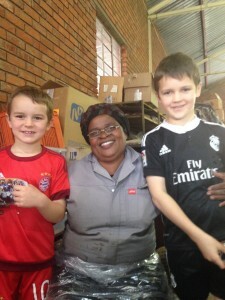 Joyful, warm and fun, embracing our boys in a huge warm Zulu hug! We visit the ‘Zulucow’ ladies and men as often as we can and have grown close to some of them. 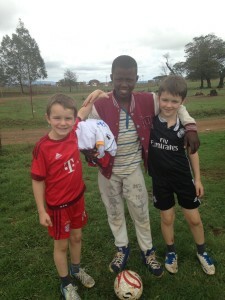 It’s heart-warming and humbling that in its small way, Zulucow is making a difference. It also feels good to get a bit of perspective on our privileged lives; give a little back …and have a lot of fun along the way!